The Junior League of Washington (JLW) is pleased to announce Jubilee JumpStart as the first of three organizations the JLW has awarded an opportunity grant to this fall. Opportunity grants are grants for less than $1,000 and are awarded to community organizations that are addressing one of the following complex areas of the JLW’s narrowed children’s reading literacy focus (1) lack of books in the home; (2) lack of books and resources in the school; and/or (3) reading out loud to children ages 0 – 5. Jubilee JumpStart is an early childhood education center located in Jubilee Housing, a subsidized housing community in the Adams Morgan neighborhood, and provides comprehensive dual-language early education services for fifty-two children from six weeks to five years of age; Monday through Friday, 7:00 a.m. to 6:00 p.m. Their mission is to ensure that children are fully prepared for success in school and beyond by providing them with early education enriched by an intense focus on social and emotional well-being and practical support to their families. Jubilee JumpStart empowers families to move up and out of poverty by helping children and parents to realize their educational and career opportunities. Jubilee JumpStart serves a diverse community of primarily low-income families, 75% of whom are eligible for government childcare subsidies. The families Jubilee JumpStart serves are among the most economically-disadvantaged in the District. More than 65% of Jubilee Housing families bring home less than 30% of Area Median Income, and half earn less than 20% of Area Median Income. Jubilee JumpStart’s student population reflects the diversity of our community. Currently, 25% the children served are Jubilee Housing residents, 75% are from low-income families, and 80% are either African-Americans or Latinos. Jubilee JumpStart has begun the process of obtaining accreditation from the National Association for the Education of Young Children (NAEYC), with a candidacy date of January 31, 2013, and successful completion anticipated by July 31, 2013. 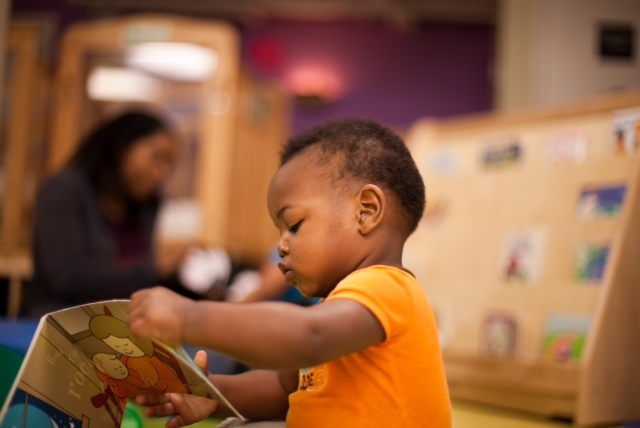 By achieving NAEYC accreditation in July of 2013, the subsidy reimbursement rate will increase by 16% which will help in the organization’s daily operations. In order for to achieve NAEYC accreditation, specific criteria must be met, some of which specifically addresses cognitive development in early literacy, including varied opportunities for the different age levels to have access to books that enable independent exploration, writing materials, ways to retell and reenact stories in books, and exposure to print books, songs and rhymes. Jubilee JumpStart’s dual language program requires that books and other literacy materials are provided in both English and Spanish. 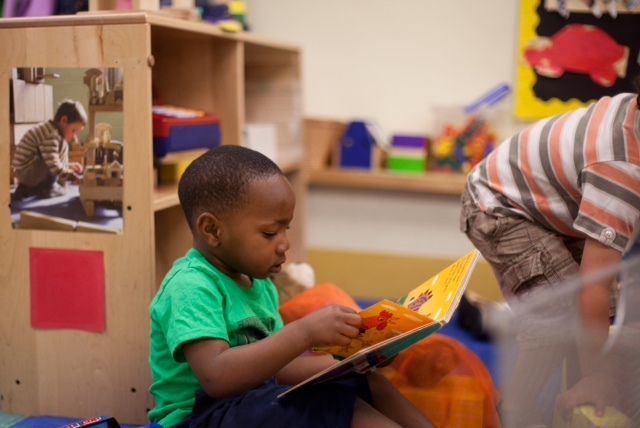 The $1,000 from the JLW will allow Jubilee JumpStart to enhance the early literacy materials they currently have for each age group, such as writing materials, CDs, dramatic play supplies, and language literacy training for the teachers. The JLW also awarded 164 books through Resolution Read – the age appropriate books, for children ages six weeks through five years old, will include durable board books, picture books, books with rhymes, and books with print so children can familiarize themselves with words in both English and Spanish. Stay tuned to the blog to hear about the other two organizations the JLW has given grants to, Hope House DC and Little Lights Urban Ministries.